If you know me at all you know I love a glass of wine... or two. It should come as no surprise that I fell in love with the 'Half full stamp set'. One of my favourite things about having a glass of wine is the conversation with friends that goes along with it. So it's fun to be able to make some great cards for those friends with our favourite theme as a base. 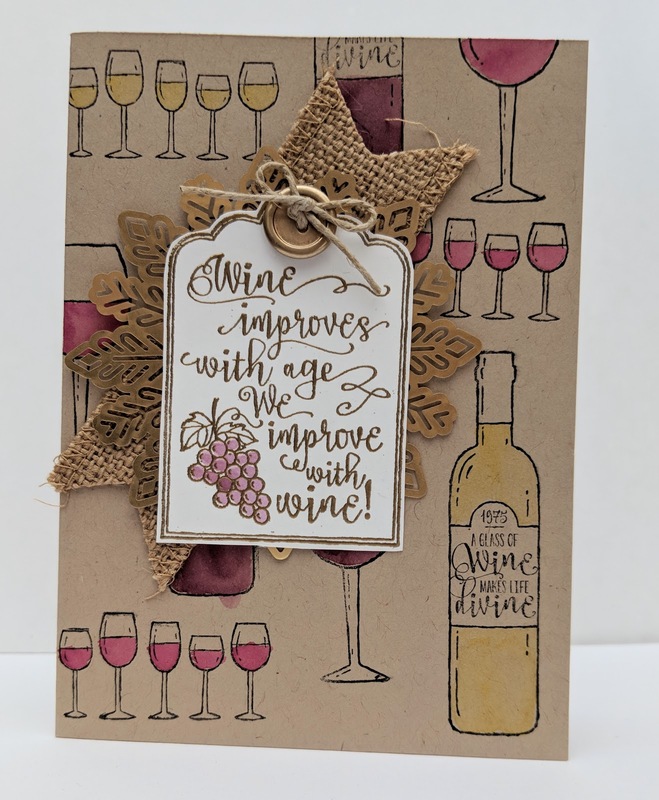 I used 4 of the stamps from this stamp set in the card, stamping them in Stayz On Black ink and then using my Aqua Painter and some inks I water coloured the wine in the glasses and bottles. For the sentiment I stamped it in Versamark ink and added gold embossing powder before embossing. A few embellishments to add some layers and depth and it was all done. The sentiments in this stamp set are really versatile and have you covered from everything from friendship & birthdays to Christmas and new years. A great one for wine lovers. 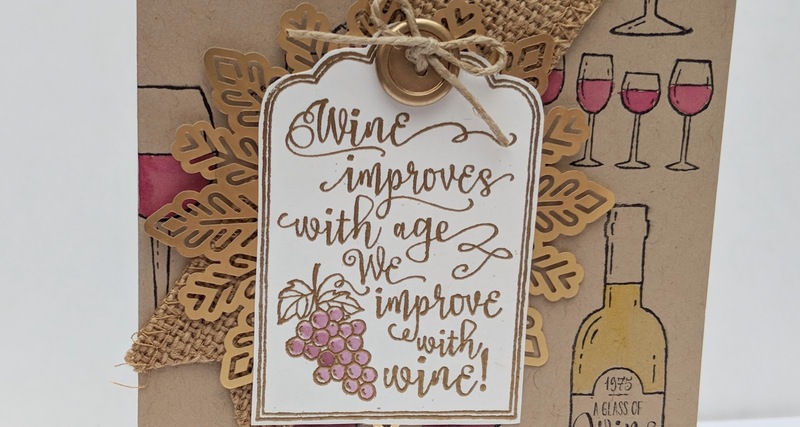 Don't tell but I may have combined a glass of wine or two with the making of this card... just for inspiration mind you! Want more inspiration and to get your hands on this stamp set? You can shop the supplies for this card online in my store or pick your favourite goodies from your wish list to make your own.